It is a small paradise located right in the city. It is a small paradise located right in the city. 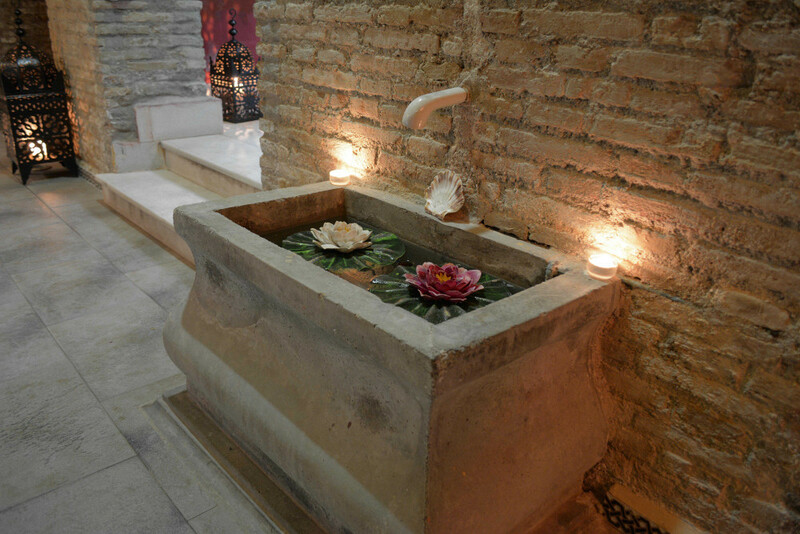 This space has been especially conceived and designed to produce an immediate effect of wellness and relaxation using water. 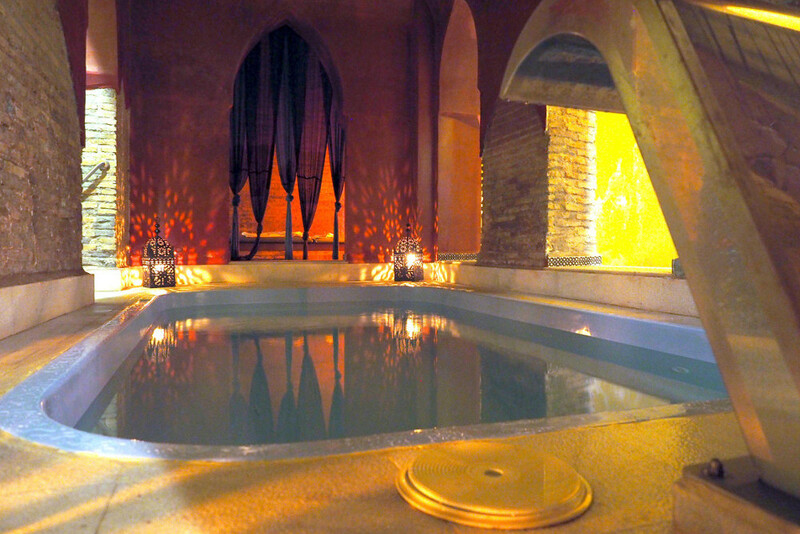 Immerse yourself in our spa and travel throughout the Arab culture. 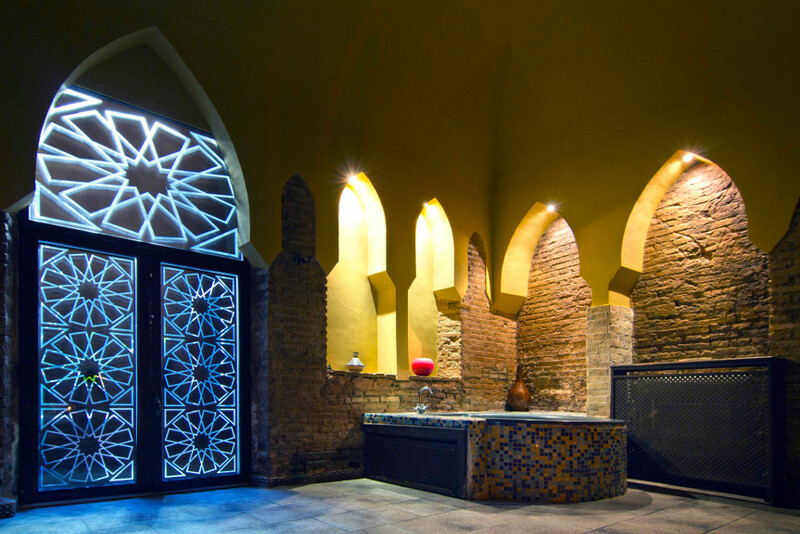 Emulating the Nasrid architecture, with vaults and stilted arches, it makes us feel the Moorish essence and culture that inhabited our city in the past. 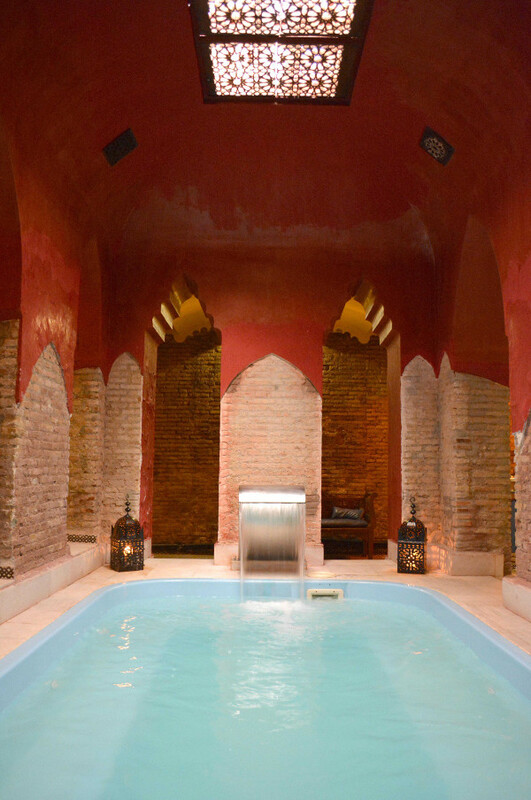 The whisper of the water, the scents that evoke freshness will accompany you during this enjoyable experience that will provide relaxation and wellness for your body and mind. 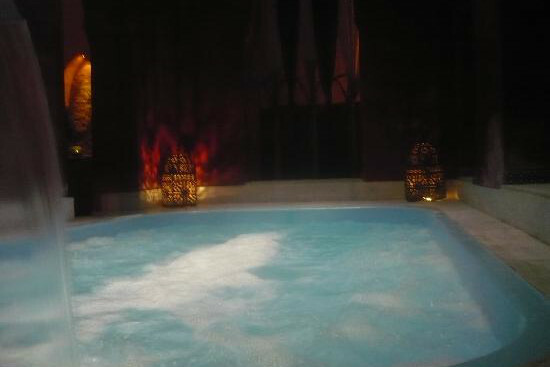 It is all about alternating the effects of hot and cold in a very friendly atmosphere, with its HOT WATER BUBBLE POOL, cold water Jacuzzi and Turkish bath. You can walk freely all around the grounds during bath session. We also have a seating area where you can enjoy tea, juice, fruit and chocolates. Public transport: bus and taxi. Open: Monday to Sunday including holidays. Duration:1 hour and 30 minutes approx. includes changing room time and/or massage/treatment if contracted. Use a low voice inside the bathing area. Long hair should be tied back. It is not necessary to wear a cap. There is shampoo, gel, hair dryer and lockers for personal belongings in the changing rooms. It is recommended to leave personal and valuable objects in the lockers. The Company is not responsible for lost items. 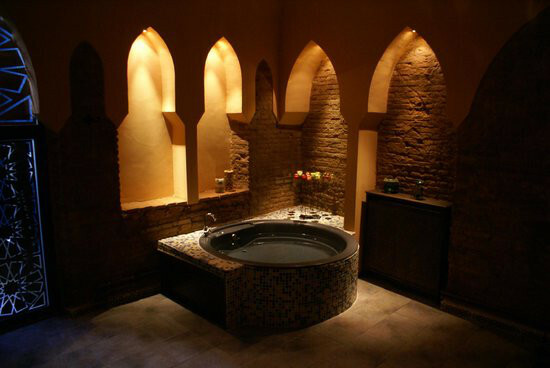 The tour of the Hammam will be all according to the customer's tastes. The bathrooms are mixed except for the changing room. Circuits last an hour and a half and include tea, juice, fruit and chocolates in the rest area. 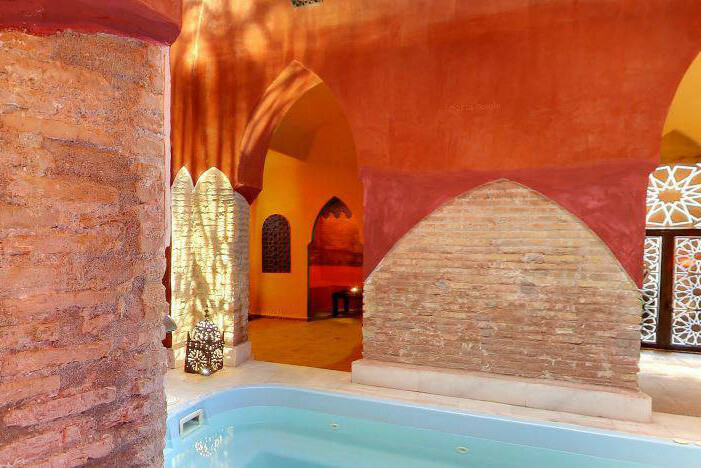 Hot water bubble pool, cold water jacuzzi, the turkish bath and rest area. We would book baths just for them and it also comes with a bottle of champagne as a gift.